Tucked into a quiet side street of Harajuku is “Mojo”, a New Zealand born coffee shop which came to be loved as a forerunner of cafes in Wellington, New Zealand, since its opening there in 2003. Mojo is currently in the process of developing 35 global stores, with seven stores in development in Japan in locations including Kagurazaka, Waseda, Harajuku, and Otemachi. 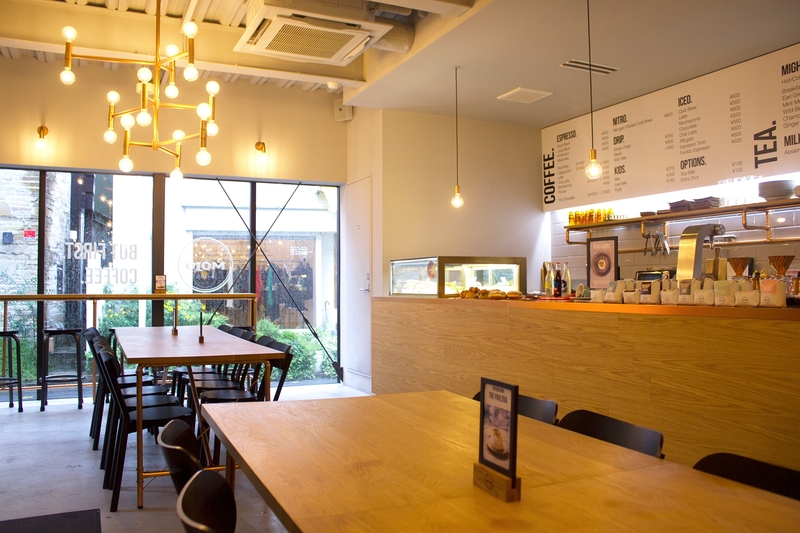 Fusing the cultures of New Zealand and Japan, and taking the strengths of the individual countries to their advantage, Mojo Japan strives to create cafes providing New Zealand friendliness with Japanese creativity and attention to detail. Mojo has the reputation of having high quality coffee without compromise, and it is not difficult to see why. They take their coffee and its quality very seriously: only baristas that have gone through the one month “Mojo Barista Training Program” are allowed to brew Mojo’s special coffee. Mojo offers up highly fragrant and delicious coffee, the “Flat White” Espresso coffee being especially popular. If you’re feeling a bit hungry, you could get a salad, sandwich, panini, or one of the baked goods that are made fresh and brought in from next door. And if you’re not in the mood for coffee? There are also several tea, and even alcohol, options on the menu. The interior of the Harajuku location is both cheerful and relaxing, with wooden tables and floor to ceiling windows that invite much natural light into the space. With a warm atmosphere and a friendly staff, is a place where you can feel at ease and take a break from the crowded, busting city. It is also good place to meet up and chat with friends. A taste that is perfect for summer. The most popular Espresso Coffee from the southern hemisphere. With frothy steamed milk poured into smooth expresso, the espresso and milk are mixed well for a coffee that is easy to drink. The volume of foam is less than in a latte, and as a result you can enjoy the taste of the coffee itself and its fragrance.